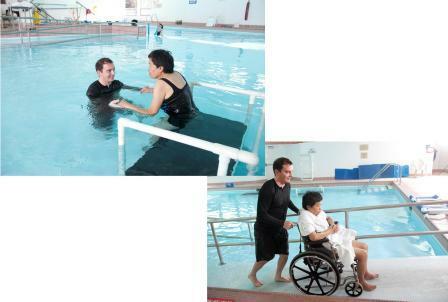 Aquatic Physical Therapy is Physical Therapy provided in the pool. 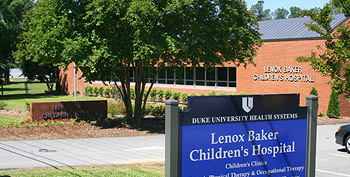 What makes Aquatic Physical Therapy at Duke University’s Lenox Baker facility unique? Aquatic Physical Therapy is provided by two physical therapists and a physical therapist assistant with many years of experience and advanced training. The Member Swim Program is available to you if you have finished your Aquatic Physical Therapy and would like to continue to use our exceptional facilities. The cost per session or in groups of 6 visits is, in most cases, less than the cost of an insurance co-pay. Diabetics, please bring a snack and/or drink with you. Please inform your therapist of any special issues you may have including but not limited to open wounds, incontinence, asthma, or fear of water. You may want to have someone drive you to and from the pool on the first couple of sessions. Physical Therapy and Occupational Therapy services require a referral and prescription from your primary care physician or specialist, depending on your insurance coverage. If your insurance company requires pre-certification, that will need to be completed before an appointment is scheduled. After a referral/authorization is completed, an appointment can be scheduled by calling (919) 684-2445, Monday through Friday between the hours of 8:00 AM and 5:00 PM. The outpatient clinic is open Monday through Friday from 8:00 AM to 5:00 PM. The pool has more restricted hours. Please call to inquire about a time that is convenient for you.